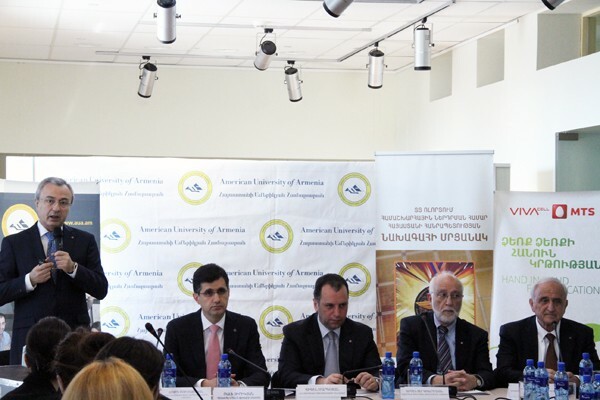 YEREVAN, Armenia – On April 18, 2015, the American University of Armenia (AUA) held a press conference to announce that Mario Mazzola, Chief Development Officer at Cisco Systems, Inc., and his wife, Luciana Cavallet, have gifted the university a $1 Million Student Scholarship Endowment. Through their generosity, beginning in Fall 2016, up to 40 AUA students will benefit from full and partial scholarships made possible by the endowment each year. Mr. Mazzola is the most recent recipient of the Global Award of the President of RA for Outstanding Contribution to Humanity through IT, which was first established in 2009 with the aim of supporting the development of the IT sector. The award is granted annual to those who have made exceptional contributions in the fields of technology, education, finance, and more. 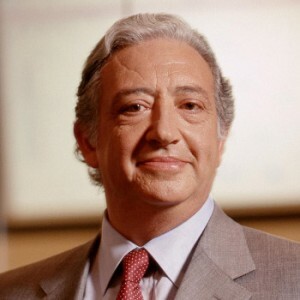 Former recipients include Co-Founder of Apple Computers, Inc. Steve Wozniak, former Chairman of the Board of Intel Corporation Craig Barrett, Chairman Emeritus of Sinaptics, Inc. Federico Faggin, and former CEO of Hitachi Electronic Devices Group Tsugio Makimoto. After receiving the award, Mr. Mazzola and his wife decided to make a gift to Armenia and selected AUA as the recipient.